On May 9, client data stolen from the Mossack Fonseca law firm in Panama was published online by the ICIJ as part of its Offshore Leaks database. The searchable database contains a portion of the offshore financial records given to the journalists by anonymous whistle-blowers since 2013; it does not include leaked emails and other explanatory data that ICIJ reporters use to write about the offshore financial holdings of newsworthy individuals. Soros is certainly newsworthy. In 1992, the self-styled philosopher-economist nearly bankrupted the Bank of England by manipulating the price of the pound. Five years later, he exacerbated a regional economic crisis by betting against Thai and Malaysian currencies. 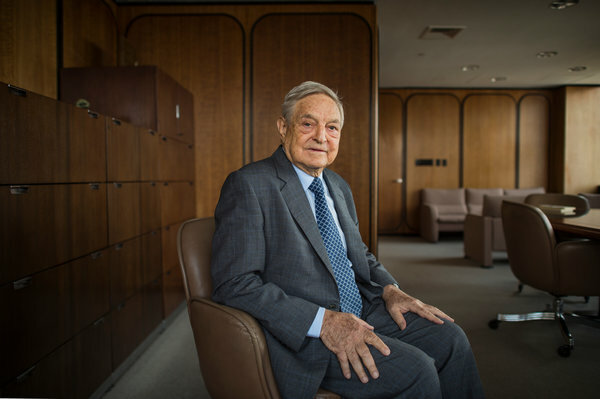 Billions of dollars in profits from Soros’ currency-pummeling moves flowed through the Quantum Group of Funds. Soros is the sole proprietor of Manhattan-based Soros Fund Management LLC, which controls his offshore empire. In July 2011, Soros closed the multibillion-dollar fund to all but members of his immediate family, allowing him to escape the Dodd-Frank Act mandate for hedge funds to disclose investors and conflicts of interest. A few months later, Soros lost the final appeal of his 2002 conviction by a French court for insider trading. But he remains a potent political force. In 2014, Soros donated $381 million of Quantum Group of Funds shares to his Open Society philanthropy. The New York-based charitable foundation supports hundreds of advocacy groups, academic research and investigative journalists that align with Soros’ oft-stated goal to promote globalized capitalism and democracy.